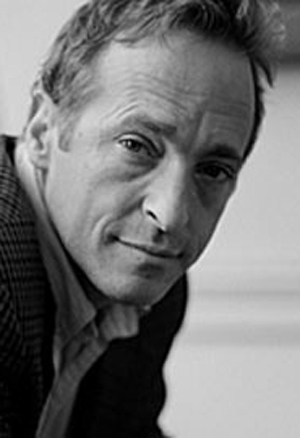 David Raymond Sedaris (b. December 26, 1956) is an American Grammy Award-nominated humorist, comedian, author, and radio contributor. He was publicly recognized in 1992 when National Public Radio broadcast his essay "SantaLand Diaries." He published his first collection of essays and short stories, Barrel Fever, in 1994. His next five essay collections, Naked (1997), Holidays on Ice (1997), Me Talk Pretty One Day (2000), Dress Your Family in Corduroy and Denim (2004), and When You Are Engulfed in Flames (2008), became New York Times Best Sellers. In 2010, he released a collection of stories, Squirrel Seeks Chipmunk: A Modest Bestiary. In 2013, Sedaris released his latest collection of essays, Let's Explore Diabetes with Owls. By 2008 his books had sold seven million copies. Much of Sedaris' humor is autobiographical and self-deprecating, and often concerns his family life, his middle-class upbringing in the suburbs of Raleigh, North Carolina, Greek heritage, jobs, education, drug use, obsessive behaviors and his life in France, London, and the English South Downs. A bow tie announces to the world that you can no longer get an erection. He looked as though his life had not only passed him by but paused along the way to spit in his face. I knew my fear was getting the best of me when I started wondering why they don’t sell cuts of meat in vending machines. It’s a pretty grim world when I can’t even feel superior to a toddler. It’s safe to assume that by 2085 guns will be sold in vending machines but you won’t be able to smoke anywhere in America. I’d tried to straighten him out, but there’s only so much you can do for a person who thinks Auschwitz is a brand of beer. She is, like most of my friends, a terrible judge of character. The real voice of reason sounds like Bea Arthur. There is still the outside world to contend with. A world of backfiring cars, and their human equivalents. Think ahead, and plan accordingly, especially in regard to your vices. We were not a hugging people. In terms of emotional comfort it was our belief that no amount of physical contact could match the healing powers of a well-made cocktail.